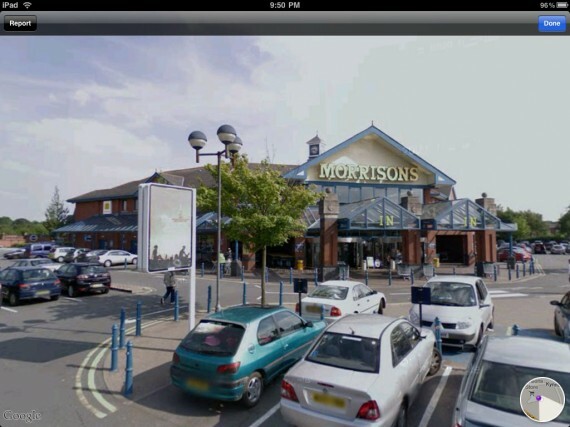 That I spent a chunk of my Saturday night on the iPad using Google Street View to determine the location of the closest supermarket to Hyacinth Bucket’s house and then got really excited when I determined that it would have been this Morrisons that I believe was originally a Safeway? It’s even on the way to Onslow and Daisy’s house. This entry was posted in Groceteria Journal, TV, Movies, and Pop Culture. Tagged Morrisons, Safeway, UK. It’s just part of the addiction. When I get on a research roll, I can go for hours. ahhh fantastic! I love “Keeping Up Appearances” very funny show! Glad to know she shopped at Safeway! You think the site is where Hyacinth purchased the items for her “candlelight suppers” ?! You mean Safeway isn’t lower or middle middle class? I think it’s awesome that you think of these things! I thought the show was filmed up north in Wigan, but I guess not. OMG!!! I LOVE Hyacinth. Where, exactly, was their home supposed to be? And where did Onslow and Daisy live?